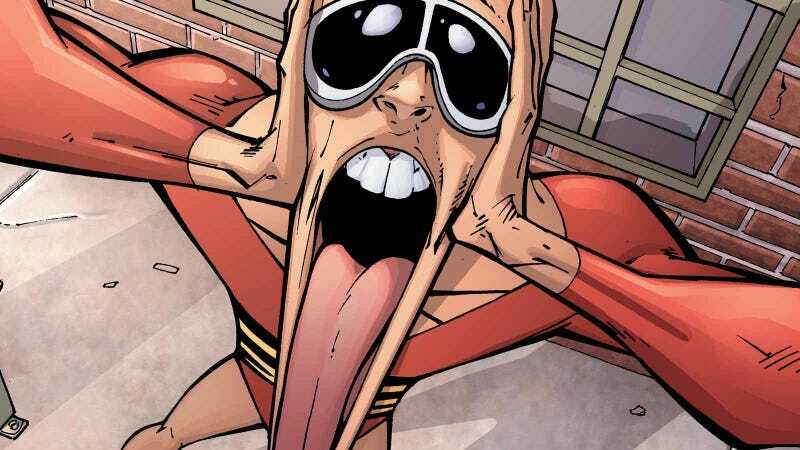 Plastic Man may be coming to the big screen. According to the Hollywood Reporter, writer Amanda Idoko has been hired by the studio after a half-year search for the right person to tackle the material. She was a staff writer on the ABC show The Mayor and has her first feature, Breaking News in Yuba County—starring Allison Janney and Laura Dern, and directed by Tate Taylor (The Help)—filming next year. That makes sense, because it feels like the general direction those movies have pivoted to as well. Aquaman is very light-hearted, Shazam obviously looks like it will be as well, and Birds of Prey certainly seems playful, thanks to that wild title. We also just heard word of a Blue Beetle film in the works, starring the younger version of that character, Jaime Reyes. And if the powers that be at DC are looking for superheroes to star in lighthearted blockbusters, Plastic Man fits that mold quite well. Though, to be fair, he can fit any mold, right? Plus, wouldn’t it be nice to get a Mr. Fantastic movie out there before Marvel can do it with its newly acquired Fox rights?